Department of Social Welfare and Development (DSWD) Secretary Judy M. Taguiwalo today shared with the public reports regarding the department’s efforts to maintain centers that provide for the needs of poor and highly vulnerable Filipinos. 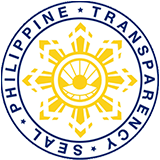 The DSWD’s Protective Service Bureau is mandated to supervise, monitor, and provide technical assistance in the operations and implementation of programs/projects particularly for disadvantaged children, youth, women, persons with disabilities, and older persons; and to develop and implement program/project operations reviews. One of the three divisions of the PSB that handles these programs and services is the Center and Residential Care Program Division (CRCPD). The ultimate goal of the residential care services is to address the immediate and pressing concerns of all residents through the provision of alternative family care arrangements with the end view of reuniting them with their families and communities as socially-functioning individuals. The DSWD is the largest provider of residential care services to the disadvantaged and vulnerable sectors of society, managing 64 residential care facilities across the regions, including seven (7) non-residential care facilities. That’s a total of 71 centers/facilities. The following are the 17 residential care facilities monitored by the CRCPD headed by the OIC Division chief Ms. Anely Burgo. The Division is in charge of overseeing the operations of the centers by sector and by facility with the Field Offices to recommend measures and structure, and to ensure efficient and effective provision of services. Overall, a total of 10, 878 clients were served by DSWD’s 64 residential care facilities for the second quarter of 2016. Of this number, the total discharge figure is 4,695 or 43.16% during the quarter. On the other hand, there are 4,448 reported rehabilitated cases or 40.88% of the total number of served clients. Among the sectors the DSWD served during the last quarter, the category of families and individuals in crisis had the most number of clients at 5,370. The deportees coming from Sabah, Malaysia comprised the biggest number of individuals served. The Processing Center for Displaced Persons (PCDP) in Region IX is the only facility that accepts deportees upon arrival in Zamboanga City. Similarly, the Jose Fabella Center in the NCR addresses the needs of clients from various cities and municipalities in the region who are street families and dwellers. As of the second quarter of 2016, the center and residential care facilities utilized a total of P229,975,613.97. The total budget allocation for the year 2016 is P219,636,242.24. This amount also covers the operations of the Centers for Non-Residential Care Facilities, namely the Persons with Disabilities Center, the National Vocational Rehabilitation Center, the Rehabilitation Workshop, the Center for Handicapped Women, and the INA Healing Center. Sec. Taguiwalo said that the utilization rate of the funds intended for the centers is low, as majority of the centers and residential care facilities were unable to reach the 50% utilization rate expected for the second quarter of the year. Only four residential care facilities went beyond the 50% utilization of funds: Nayon ng Kabataan 76.5%; Marillac Hills 51.7%; Sanctuary Center 57%; Elsie Gaches Village 52.1%. “Different factors have contributed to the low utilization of the funds for the centers, and some of them could have been avoided. We want to assess the services of the centers and their capabilities to provide for the needs of their intended clients, and this will take time. What we are certain of, however, is that the need for the services of the centers are very high considering the steady if not increasing poverty levels in the country , not just in the NCR but all over,” Sec. Taguiwalo explained. “This is a most sorry situation which should be remedied. Many of the clients in the DSWD services are in need of regular medical attention or monitoring. In many of the centers, the personnel are unable to determine the exact nature of their physical, mental, and psychological health. The best that we can do for them is to provide for them food and shelter, as well as their most basic hygiene needs. We have very far to go to reach standards that can even be remotely called ‘adequate’ or ‘sufficient’,” said Sec. Taguiwalo. Sec. Taguiwalo added that for the centers, the DSWD also wants to ensure the continuous facilitation of the downloading of funds appropriated for the enrolment of clients with the Philippine Health Insurance (PhilHealth) so that they can get more comprehensive and better health services based on the approved memorandum of agreement between the DSWD and PhilHealth.